​DOES "ALL" IN 1 TIM. 2:4, 6 MEAN EVERYONE? Question: Is it right to say that the word "all" in such Scriptures as 1 Tim. 2:4, 6 means all, in view of the Scriptural use of this word in Matt. 3:5, etc., where apparently it does not mean all? (a) The Scriptures clearly teach, in harmony with 1 Tim. 2:4, that God loves all men unto salvation from the Adamic sentence. We cite among others the following passages in proof: Gen. 12:3; 18:18; 22:18; John 3:16, 17; 1 Tim. 4:10; Titus 2:11; 3:4; Heb. 2:9. (b) Again, the Scriptures clearly teach that Jesus Christ died to save all men from the Adamic sentence (John 1:29; 3:15-17; 12:32, 33; Rom. 5:18, 19; 1 Cor. 15:21, 22; Heb. 2:9; 1 John 2:2). (c) Finally, as a result of the love of God and of the death of Jesus Christ for all men unto salvation from the Adamic sentence, the Bible teaches that all men will be invited and helped by the holy Spirit to come into harmony with God. Note the following passages, which by no means are an exhaustive list of pertinent Scriptures: Psa. 2:8; 22:27-29; 86:9; 98:2, 3; Isa. 2:2; 11:9; 25:6; 29:18, 24; 35:5, 6, 10; 40:5; 45:22, 23; 52:10; Jer. 31:34; Joel 2:28; Luke 2:10, 31-34; John 1:9; 12:32; Titus 2:11; 3:4; Rev. 22:17. If we attentively study 1 Tim. 2:4-6 we will note that these three lines of thought are clearly emphasized in that passage. Thus on the first point the Apostle, in v. 4, directly states that God's good will—love—is toward the whole human family, to the end that they may be saved from the Adamic sentence: "God will [literally, willeth to] have all men to be saved [not everlastingly, but from the Adamic sentence]." The second point—Jesus' Ransom-sacrifice for all men—is directly taught in v. 6, where the Apostle says of Christ Jesus that He "gave himself [unto death] a ransom [a corresponding price] for all [Adam and the whole race in his loins when he sinned]." So, too, the Spirit's proffered help for all men unto salvation—is taught in vs. 4 and 6 in the words, "God will [willeth to] have all men … come unto the knowledge of the truth … to be testified in due time [during the Millennium]." These three considerations, therefore, prove that "all" in 1 Tim. 2:4, 6 means every one of Adam's race, including Adam himself. Question: Do the Scriptures teach universal redemp­tion or universal salvation, or do they teach both? Answer: This is a matter that might be set forth in different terms and yet stated correctly. We might say that we have universal redemption, in that the redemption is on behalf of all, and that the results of the death of Christ will be made efficacious to all of Adam's race. When it is made efficacious to all it will mean their salvation—either that they will be actually and fully saved out of sin and death conditions, or that they will have a full, complete opportunity for recovery out of sin and death, with only their wills to intervene. Through Christ the work of the first Adam will be entirely undone. Each member of the race will be privileged to come back to all that was lost, if he will. An everlasting salvation, a complete deliverance from sin and death, will require the individual's full co­operation. There is a law of God which when broken leads to a sentence of death, as in the case of Father Adam. Broken by anyone who has been delivered from the sentence of Adam and fully restored, that law would mean that individual's condemnation to death afresh. The Bible speaks of this condemnation as the Second Death (Rev. 20:14; 21:8), which it teaches some will undergo. The first death passed upon all because of one man's sin. The Second Death will pass upon none except for wilful, intelligent sin of the individual, which the Bible teaches some will commit (1 John 5:16). Such a sin could not be committed until first such ones had been delivered from the sentence pre­viously upon them through Father Adam—the first death sentence (Heb. 6:4, 5). The world therefore, could not now die the Second Death, because the world is not yet released from the first death. No man could be judicially tried and condemned to death twice for the same offense. To have a second sentence he must have come, either actually or reckonedly, from under the first sentence, and then have committed a second offense. The world—Adam and all his race—has been condemned once. Not until they will be released from that condemnation could they come into a fresh con­demnation. Therefore the Bible declares it to be God's purpose that there shall be a great Day, a thousand-year Day, in which Christ will give the world a judgment, or trial. The right to give them this trial our Lord Jesus has secured by His own death, having tasted death for Adam and all his posterity condemned in him (Heb. 2:9). The death of our Lord, a perfect man, would be the full offset of the sentence upon the first man. Thus the way is open for the great "Times of Restitution" spoken of by the Apostle Peter (Acts 3:19-21). So our Lord Jesus has become the Redeemer, the Purchaser, of Adam and all his race. He has not yet fully accomplished the work of purchase; for the application of the merit of His sacrifice for the world is to follow His Second Advent, when the Church of the Firstborn shall have been completed and His Media­torial Reign will be due to begin. As soon as this purchase shall have been effected, the cancellation of the sin of the world will be made. The world will then be turned over to Christ, free from the penalty of original, or Adamic sin; and each individual will have a full opportunity, or trial, or judgment, to determine his real character, his real intention, his real attitude toward right and toward wrong, toward God and toward sin. This will affect first the living nations, and then, gradually, those who will be in the tomb, as they shall come forth. This will be universal redemption, or deliverance, from the Adamic death penalty, universal purchase from death; but not universal deliverance or salvation to eternal life, which will be conditional. The Apostle Paul, in speaking about this great trial day, or Judgment Day, of the world, says, "God hath appointed a day [future], in which he will judge the world in righteousness by that man whom he hath ordained" (Acts 17:31). The word "man" in this case is evidently used in a figurative way to represent Jesus the Head and the Church His Body, who with Him are to constitute the great Mediator between God and men during the Millennium, for the purpose of giving all mankind a full release from the Adamic penalty and a full opportunity to return to God. "Whosoever will" may have that full opportunity and may, by improving it, be found worthy of everlasting life (Rev. 22:17). He may at the end of the thousand years, in mankind's final test, demonstrate that he is both able and willing—able because perfect, willing because of right heart-intentions—to keep the Divine law. All such will be granted life eternal by the Father. All others will be destroyed, annihilated, in the Second Death. Adam was on trial for his life eternal, but he failed at the outset of his trial. The world of mankind at the opening of the Mediatorial Reign will start in a differ­ent way. They will start imperfect; but, with an experience in the nature and effects of sin, and under the covering of Christ's work—not granted as an indi­vidual imputation, but through the operation of the Mediatorial Reign—they will be permitted to rise up, up, up, out of sin and death; and while having this privilege, they will be permitted to demonstrate their real character, whether determined for good or for evil. If they faithfully determine for good, they will gain eternal life; if for evil, they will lose eternal life and will die again and be dead forever—incur the Second Death. Thus the Bible teaches a universal redemption or salvation from the Adamic death penalty; but it does not teach a universal salvation to eternal life. Question: How can you harmonize the teaching that the non-elect dead, excluded in this life from the chance of gaining the elective salvation, will be awak­ened during the Millennium, with Rev. 20:4, 5, which, after speaking of the first resurrection, says, "But the rest of the dead lived not again until the thousand years were finished"? Answer: There are good reasons for believing that this portion of Rev. 20:5 is an interpolation, and therefore not genuine Scripture. (a) The testimony of the best MSS. is against its genuineness. No MS. earlier than the fifth century contains it, e.g., the Sinaitic, the oldest of the New Testament Greek MSS., lacks it, and the oldest trans­lation, the Syriac, does not have it. (b) As the clause stands it makes the next words, "This is the first resurrection," tell a falsehood; for they teach that this clause treats of the first resurrec­tion, whereas if genuine it refers to the world's resur­rection, not to that of the Church, whose is the first resurrection. (c) The demonstrative pronoun haute (this) in the Greek text of the clause, "This is the first resurrection," makes it refer to the immediately preceding clause, "But the rest of the dead lived not again until the thousand years were finished"; for as in English the demonstrative this refers to the nearer thing and the demonstrative that to the farther thing, so in the Greek the same rule applies to haute (feminine form of the masculine hautos, this) and ekeine (feminine form of the masculine ekeinos, that). If the disputed clause were genuine and the demonstrative pronoun in the Greek text of the clause, "This is the first resurrection," were used to refer to the clause, "They lived and reigned with Christ a thousand years," then that demonstrative pronoun would have had to be ekeine, that, as pointing to the clause farther away than the immediately preceding one, and not haute, this, which would refer to the nearer (the immediately preceding) clause, "But the rest of the dead lived not again until the thousand years were finished." (d) Biblical Numerics indicates that the disputed clause does not belong in the text of Rev. 20:5. This science demonstrates that the whole Bible is constructed on an elaborate mathematical design (proving God's authorship and the verbal inspiration of the Bible) and that it contains within itself an infallible means for deciding between disputed readings of its text in the original languages. Biblical Numerics is described more in detail, e.g., in our book, The Bible, pp. 603-634, where, among other things, it is shown that not only is the number 7 present on the Bible's surface, but also that it permeates the Bible through and through, in its sentences, paragraphs, sections, etc. The letters of the Greek and Hebrew, in addition to serving as the alphabet, serve also as numerals, e.g., the word haute, used in the clause immediately fol­lowing the disputed clause, is not only a word spelled by its letters, but is also a numeric sum of the value of its numbers, i.e., a = 1, u = 400, t = 300 and e = 8 (the aspirate h has no numerical value, as in Greek it is not a letter, but merely a sign of exhalation). Therefore this word, consisting of four Greek numerals, stands for the number 709. The disputed clause has the numeric value of 5819, which is not evenly divisible by seven. The Greek clause with which the pertinent sentence begins, "And they lived and reigned with Christ a thousand years," has the numeric value of 4997. The Greek clause with which the sentence ends, "This is the first resurrection," has the numeric value of 2976; and the total of the numeric value of these two clauses is 7973, a multiple of seven, for it is the product of 1139 x 7. But if we add to their sum, 7973, the numeric value of the disputed clause, 5819, the sum will be 13,792, which, divided by 7, gives us a quotient of 1970 2/7, a number with a fraction remaining, and therefore not evenly divisible by seven. Hence the addition of the numeric value of the disputed clause to the numeric value of the rest of the sentence spoils the Biblical numerics of the sen­tence. Thus we find that there are good reasons for believ­ing (a) that the disputed clause is spurious and (b) that only that belongs to the sentence in Greek which, when translated into English, reads as follows: "And they lived and reigned with Christ a thousand years; this is the first resurrection." 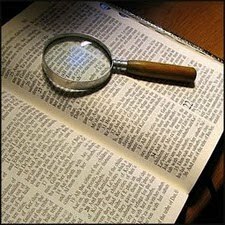 These reasons would favor our deleting from our Bibles the disputed clause, as something which has been added to it, all additions to, and subtractions from the Bible being Divinely forbidden things (Rev. 22:18, 19). If the first clause of Rev. 20:5 is spurious, it was added to the Bible sometime between 325 A.D., when the Sinaitic MS. was made, and 450 A.D., when the Alexandrian MS., the first one containing the disputed clause, was made, perhaps in the following way: During that time some reader of his copy of the book of Revelation wrote these words in the margin of his copy as his comment on the passage; and sometime later, another copyist of manuscripts, transcribing from the annotated copy of Revelation, inserted this mar­ginal reading into the text, thinking it to be genuine; and so it came into most Greek MSS. of Rev. 20:5. (a) We would have to consider it as a parenthesis in order to prevent it from contradicting its second clause, "This is the first resurrection"; for if the first clause is not considered to be a parenthesis, to prevent a contra­diction the second clause would have to read, "This is the second resurrection." (b) The word "dead" in the disputed clause would have to be considered as applying, not to those in the death state, but to those in the imperfection of the dying process, as it does in most of the uses in Rev. 20 (vs. 12, 13), and as it does also elsewhere in the Scriptures (Rev. 3:1; 11:18; Matt. 8:22; John 5:24, 25; 2 Cor. 5:14). (c) The statement that "the rest of the dead lived not again until the thousand years were finished" would have to be considered as meaning, not that the dead were awakened merely, though still under the Adamic dying process, as they will be during the thousand years, but that they did not regain the fulness of perfect human life which Adam lost, that they were not fully lifted up out of the imperfection of the Adamic dying process, until the thousand years were finished. Not to interpret the expression "lived not again" in this way would make it contradict numerous Scriptures, e.g., those cited above, which prove that all in the Adamic death state will be resuscitated during Christ's Millennial Reign. Parallel passages, therefore, compel us to give the expressions "dead" and "lived not again" in Rev. 20:5 the meanings above attached to them, if we assume the genuineness of its disputed clause. This verse, therefore, does not, as many think, prove that the world will not be awakened from the death state until the thousand years will have been finished, but it means that it will not be until the end of the thousand years that the last vestiges of the Adamic curse will have given way to the all-conquering sway of the life-giving reign of Christ and the Church for the world of mankind. The removal of this curse is the theme of Rev. 20, 21 and 22. And in these chapters seven pictures of its gradual undoing during Christ's Second Presence are set before us. One of these pictures is the thousand-year Kingdom figure; and that figure is used in the section to which the first clause of Rev. 20:5, if considered genuine, belongs. This would account for the fact that the gradual wiping out of the Adamic death during the thousand years is described by the use of similar words and with the same thought, in this verse and in 1 Cor. 15:22-26, where also the Kingdom figure is used, and this is what we should expect of passages that describe the same phase of Christ's Second Presence on earth. Accordingly, the first clause of Rev. 20:5, if consid­ered genuine and interpreted in harmony with other pertinent Scriptures, implies that all in the Adamic death state will be awakened long before the Millen­nium ends, that they will be put under the life-giving conditions of that Age and that as they obey the Life-Giver, they will gradually be lifted up out of the imperfections of the Adamic death and at the end of the thousand years will find themselves perfect —"made alive." WILL THE "UNJUST" BE RESURRECTED? Question: In view of the fact that some will never reach the condition of perfection, which the word resurrection means, how shall we understand the words of the Apostle Paul in Acts 24:15, that both the just and the unjust are to be resurrected? Answer: This Scripture seems very plain if we give careful attention to what we read. Those Jews who stood by and heard the defense of the Apostle before Governor Felix, of which the words of Acts 24:15 are a part, believed that all of the just would have a resur­rection, and that an opportunity of the resurrection would be given to the unjust. That is what they had been taught from their forefathers. And now the Apostle was reiterating this, their conviction. He says, "There shall be a resurrection of the dead, both of the just and the unjust"; i.e., the resurrection for which God has provided, and which is yet to come, is not only for the good, but also for those who are now evil. The thought is not that those who remain in an unjust condition will be granted a full resurrection. The text does not state that all the unjust will be resurrected, brought to perfection of life. There are some now justified who will have a share in the resurrection, even as there are others who are not now justified who will also have a share in the resurrection. And all mankind will have a share in God's provision for a resurrection. The just will have a special resurrection, which will be a reward for their special obedience. But the opportunity will, during the incoming Kingdom Age, be thrown open for all to gain everlasting life through Christ. The justified ones of the Church class are "changed in a moment, in the twinkling of an eye," from the earthly to the heavenly condition—made perfect spirit beings. Those of the past dispensations, justified to God's favor through faith, are to be brought forth perfect men, instead of in the condition in which they died. This will be after the Ransom merit of Christ will have been applied for all the world. The Divine purpose is that the death of Jesus shall effect the release of the whole race from the condem­nation in Father Adam. Therefore the Millennial Reign of Christ has been set aside for the resurrection of the world. But how large a proportion will profit by this arrangement remains to be seen. The Scriptures state that during that Age a sinner of a hundred years old—a wilful sinner—shall be cut off from life alto­gether. They declare that such a sinner will be but a lad, in comparison to what he might have become if he had availed himself of the opportunities provided at that time (Isa. 65:20; see especially Leeser's transla­tion). It will be entirely their own fault if they do not profit by the blessings of that Day. Only wilful, personal rejection of God and His merciful salvation through Christ will consign anyone to the Second Death. Note carefully that the Scriptures do not say that all will share in the resurrection. How about the vitalizedly justified? Will they all be resurrected? Oh, no! There will be some who have been justified who will go into the Second Death. And so with the world. After they shall have had a full opportunity, under clear light, whoever then sins wilfully against the light will receive the penalty of the Second Death. But nothing will be lacking, so far as God's provision is concerned. Our Lord said, "The hour is coming in which all in the graves shall hear his voice, and shall come forth; they that have done good, unto the resurrection of life; and they that have done evil, unto a resurrection of judg­ment" (John 5:28, 29, compare ASV and Emphatic Diaglott). Those who have pleased God in that they have exercised faith, have made consecration of themselves to Him and have obeyed the leadings of His Word, Spirit and providences—these are the ones who have done good. God does not ask any more of them than that they show their loyalty by doing their best, that they seek to live in harmony with His will according to their ability, whether they lived during this Gospel Age or during the Ages preceding. Abraham, Isaac, Jacob and all the prophets (and all others less prominent) who are mentioned by St. Paul in Heb. 11—these died in faith. With these Ancient Worthies, God declares He was pleased, and that they shall have "a better resurrection" (Heb. 11:35). The superiority of their resurrection will include their being awakened as per­fect human beings, while the world will have to go through the thousand years to attain perfection. Then Jesus tells us about the other general class—those who have done evil. This includes all whom God cannot approve and accept. Those who are not accept­ed are those who have not done good, according to God's standard; they have done evil; they are unjusti­fied. Many of them have been respectable, moral people, but they are not worthy of the "better resurrec­tion." These will come forth also that they may attain, if they will, complete raising up to life. They will be awakened in order that they may have a resurrection. They will be resuscitated from hades, the grave, the death state; but their awakening will be only the beginning of resurrection, namely, a re-standing to per­fect life. Some will be awakened only to die again later, because of failure to accept God's terms of bless­ing. The resurrection process will go on day by day, week by week and year by year during those thousand years—the great Resurrection Day, that Great Day, the Last Day, during which there will be an opportunity for all to gain life eternal. But whoever will not make the proper progress will be accounted unworthy of a full resurrection. Those only who will be judged worthy of everlasting life on God's terms will get it. Thus there will be a resurrection, a bringing up to perfect life, both of just and of unjust ones. All that are in the graves shall be brought forth, shall come to a know­ledge of the Truth, to the intent that they may be restored, if they are willing and obedient, to all that was lost in Adam and redeemed by the world's Savior—Jesus Christ. The above presentation is entirely in harmony with the literal translation of the last clause of Acts 24:15: "There shall be a resurrection both of just and unjust ones"; for the article the is lacking before the Greek words translated "just" and "unjust." WILL THE SAME BODIES BE RAISED? Question: Do the same bodies that are laid away in the grave come forth in the resurrection awakening? Answer: A very clear answer is given to a very similar question in 1 Cor. 15:35-38, where we read, "But some man will say, How are the dead raised up? and with what body do they come? Thou fool [foolish one], that which thou sowest is not quickened, except it die: And that which thou sowest, thou sow­est not that body that shall be, but bare grain, it may chance of wheat, or of some other grain: but God giveth it a body as it hath pleased him, and to every seed his own body [italics ours]." These verses very clearly show that the bodies that are laid away in burial do not come back again, and give as an illustration the fact that grains of wheat, etc., that are sown do not come back again; but that new grains are raised. Just so, the bodies which are buried do not come back in the resurrection. Sometimes John 2:19, 21 ("Destroy this temple, and in three days I will raise it up. But he spake of the temple of his body") is interpreted as teaching the raising of the same body that is buried. This interpre­tation contradicts not only St. Paul's words just quoted, but also the many Scriptures and Scriptural teachings (see 1 Cor. 15:45, 50; 2 Cor. 3:17; 5:16; 1 Pet. 3:18; Mark 16:12, etc.) that prove that Jesus was raised from the dead a life-giving spirit, and did not in His resurrection take back His fleshly body, which He gave for the life of the world (John 6:51). As a spirit being (John 3:8), Jesus appeared after­ward to His disciples in various fleshly bodies, or forms (Mark 16:12), with created clothing (the soldiers had taken His—Matt. 27:35): e.g., as a gardener, as a stranger (known only after He broke bread, after which He dematerialized and vanished — Luke 24:13-35), as one with nail-prints, as one seeking fish, etc. (John 20:11-18, 25-29; 21:1-14; Matt. 28:16, 17). He plainly said, "A spirit [He was raised a spirit] hath not flesh and bones [material substances], as ye see me have [in which He materialized]" (Luke 24:36-48). Jesus' words in John 2:19 are explained, against the misunderstanding of His hearers, as referring to the temple pictured forth by the Jewish temple, i.e., He referred to the antitypical temple, which is the Church (1 Cor. 3:16, 17; 2 Cor. 6:16; Eph. 2:19-22). We know also that the Church is called the Body of Christ (Rom. 12:5; 1 Cor. 12:12-27; Eph. 1:23; 3:6; 4:4, 12, 16; 5:23, 30; Col. 1:18, 24). Jesus, therefore, here promised that even if His enemies would kill the various members of His Church, He would, neverthe­less, on the third (1,000-year) day, raise it (the Church) up. He uttered this language on the fifth 1,000-year day from Adam's fall into sin; and we have already proven that the Church will be reigning with Him, hence will be resurrected, on the seventh 1,000-year day, which is the third of such days from and including the fifth. So understood, the passage makes no reference to the raising of the bodies of the saints. The "body of our humiliation" (Phil. 3:21, ASV), which in the resurrection is "fashioned like unto his [Jesus'] glorious body," likewise refers to the Body of Christ, and not to the fleshly bodies of the saints. Isa. 26:19 is sometimes quoted as allegedly proving that the same bodies which are laid away in the graves come forth. However, there are several questionable things, in the passage as translated in the KJV. In the first place, the words printed in italics in this verse are inserted into the text without having any corresponding words in the original; for the translators resorted to the use of italics to inform the readers that the italicized words are interpolated. The interpolated words, "to­gether with," make the verse liable to the interpretation that we have shown contradicts the Bible in many ways. Moreover, the Hebrew word translated in the KJV as "body" has no plural form; but used collec­tively, as, e.g., in Psa. 79:2 and Jer. 7:33, it has plural significance. Thus the American and English Revised Versions, Moulton, Leeser, the Jewish Publication Society, etc., render the verse as follows: "Thy dead shall live; my dead bodies shall arise." As we have already shown (compare Luke 20:36; see also Life-Death-Hereafter, pp. 171-183), the resur­rection has two parts: (1) the awakening of the dead, and (2) the lifting up of these awakened ones from the physical, mental, moral and religious imperfection of the Adamic fallen condition, back again into the physical, mental, moral and religious perfection from which Adam fell—a process that will require the entire Millennium to complete for mankind. As we understand the matter, these two things are taught by Isa. 26:19: the clause, "Thy dead shall live," refers to the awakening of the dead—the first part of the resurrection process—and the clause, "My dead bodies shall arise," refers to the re-standing from Adamic imperfection to perfection—the second part of the resurrection process. The expression, "dead bod­ies," refers to those bodies as being not actually in the death state, but as dead in trespasses and sins (Eph. 2:1, 5); for God regards everyone out of Christ and short of perfection as dead (2 Cor. 5:14). The reason for the use of the word my in the clause, "my dead bodies," is that Christ, the speaker in this verse, by virtue of His ransoming—purchasing—them, will be their Owner and Lord (Rom. 14:9), hence can properly call them His. So viewed, the passage does not refer in the least degree to the identical bodies that were buried as being raised again on the last day; but refers to the two parts of the resurrection process, (1) the awakening of the dead, and (2) their re-standing to perfection.